Hail, hail the Word Made Flesh,The babe, the son of Mary! I was taken aback upon reading these lyrics for the first time several months ago. My church used a different set of lyrics that replaced the second half of the second and third verses with the second half of the first. The result sounds slightly repetitive, I suppose, but I like it better myself. Of course, we all know what fate had in store for Jesus, but I'm not so sure we need to make such a full disclosure while celebrating the day of his birth. The lyrics are sung to the tune of a traditional English folk ballad titled “Greensleeves.” It’s a hauntingly beautiful piece of music. I remember it best as the theme for the television program, Lassie. I adored that show as a child, and even named our first cat "Timmy" after the young farm boy who owned Lassie on TV. At one point in the show, Lassie left the farm Timmy’s family owned to travel the West with an itinerant forest ranger. The intention, I’m sure, was to provide new plot ideas, but it took me awhile to get used to the change. 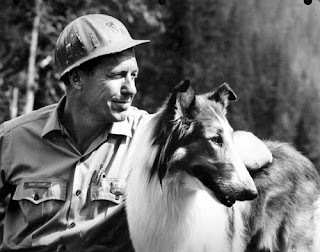 Once I did, naturally, the producers killed off the ranger in a massive forest fire too big for even Lassie to control. I’m pretty sure that the haunting melody of Greensleeves was playing in the background as the flames consumed the forest. I was pretty upset after watching that episode, and I can still remember my parents trying to explain to me that death was simply another part of life, and that what had happened was only a story, in any case. I didn’t like their explanation then, and I don’t care much for it now. You want to know more about Rev. 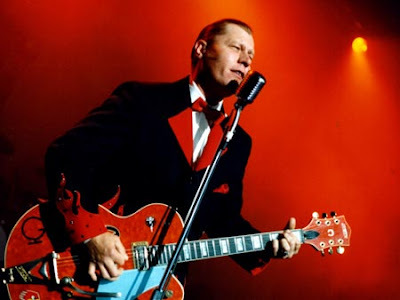 Horton Heat? You're welcome to check out his website HERE. His version of this song is less melancholy and maybe a bit darker than most, which is kind of refreshing during certain moments of this festive season. I'm neither a fine diner nor a wine drinker, but I guess it's like a spoonful of sorbet between courses to cleanse the palate. For the makers of Alka Seltzer, the coming of each new holiday season provides cause for celebration. This is, after all, an exceptionally busy time of year, and one in which eating and drinking -- even to excess -- is considered more acceptable than usual, even something to be expected. While the occasional night of holiday overindulgence is rarely cause for alarm, this time of year can be particularly difficult for those who suffer from alcoholism, chemical dependency or certain types of mental illness. According to the Centers for Disease Control, the rate of alcohol- and drug-related accidents and illness more than doubles during the holidays, not to mention the anguish of the millions of people each year whose holiday plans, marriages and relationships are ruined due to excessive drinking and drug use. If you or someone you love is affected by alcohol- or drug-related problems this year, help is available. Contact your local Public Health Department or Alcoholics Anonymous. For further tips on healthier living during the holidays, visit the special web page created by the Centers for Disease Control (CDC). They've even created their own holiday song for the occasion, which is available HERE. Incidentally, the part of Santa Claus in the Alka Seltzer commercial is played by none other than Sammy Davis, Jr.! 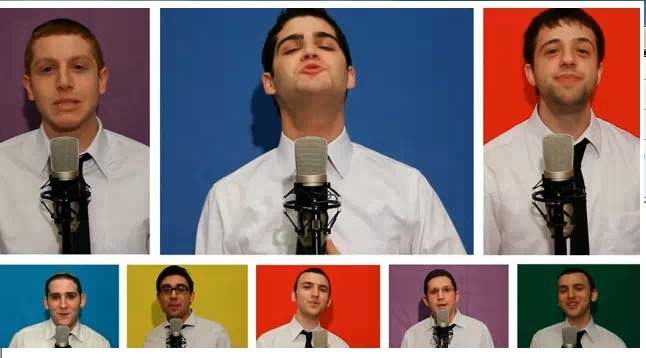 Founded in 2007, the Maccabeats are an all-male a cappella group from New York’s Yeshiva University. 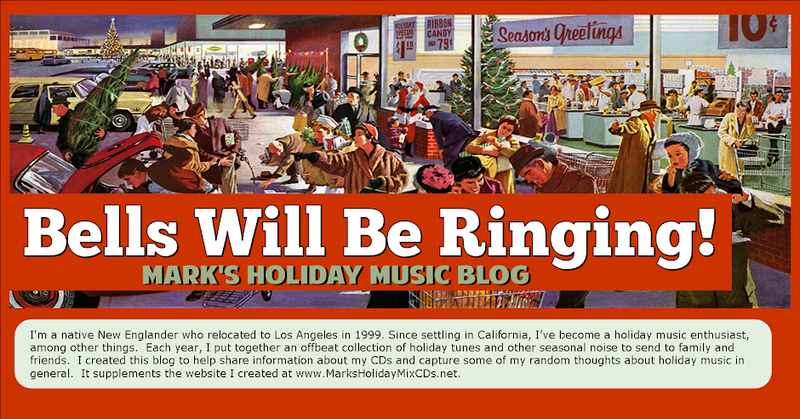 Their song “Candlelight,” which I include on my 2011 mix, was a big hit on the internet during the 2010 holiday season. (That’s me, a dollar short and a year behind!) It’s apparently based on Mike Tompkins' a cappella version of the Taio Cruz smash "Dynamite," which was named Billboard magazine’s top Hot 100 Pop Song of 2011. The Maccabeats’ version tells the story of the Maccabees, a Jewish rebel army whose successful struggle against the oppressive Hellenic regime that ruled Judea approximately 150 years BC led to the founding of the Hasmonean dynasty. This was an important event for the Jewish faith, as it effectively reversed the trend toward assimilation that had begun under Hellenic rule and allowed the faithful to resume the open practice of Jewish rituals and tradition. “Candlelight,” like the song on which it was based, has the kind of infectious beat that sticks in your head after a single listen. If all of history could be taught this way, we’d sure have a few more historians walking around. That’s it for now. Stay tuned for another set of comments, hopefully tomorrow.